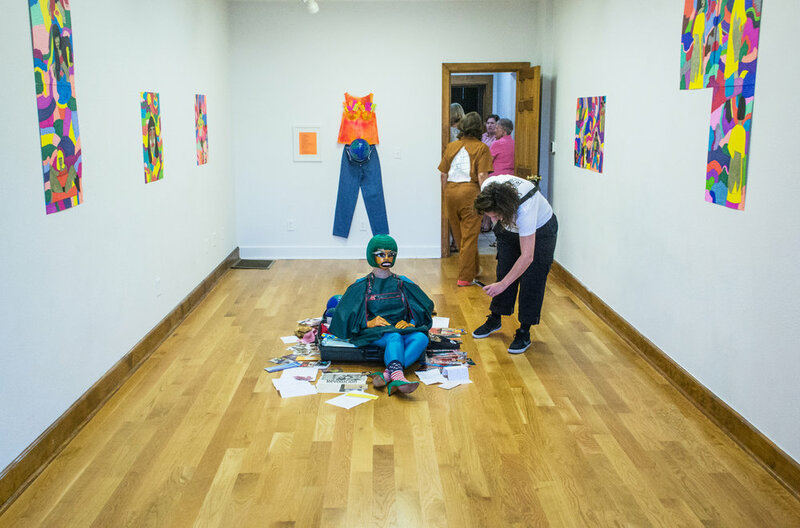 View from live performance at Romagoza's solo exhibition Self-Experience of Freedom and Unfreedom, Pique Gallery, KY, 2018. Medium: Living art Installation/Performance, Variable Dimensions, duration 57 min. 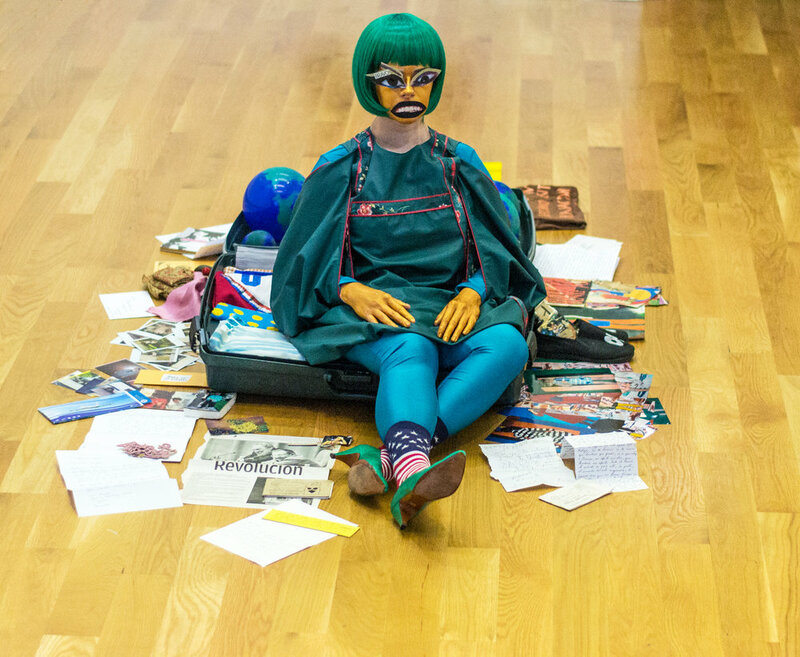 Materials: Alter-ego (Cuquita, The Cuban Doll), suitcase, personal belongings, clothing, letters from family, gifts from lover, ticket plane one way Havana-Miami, Granma newspaper, planet globe earth world balloons. 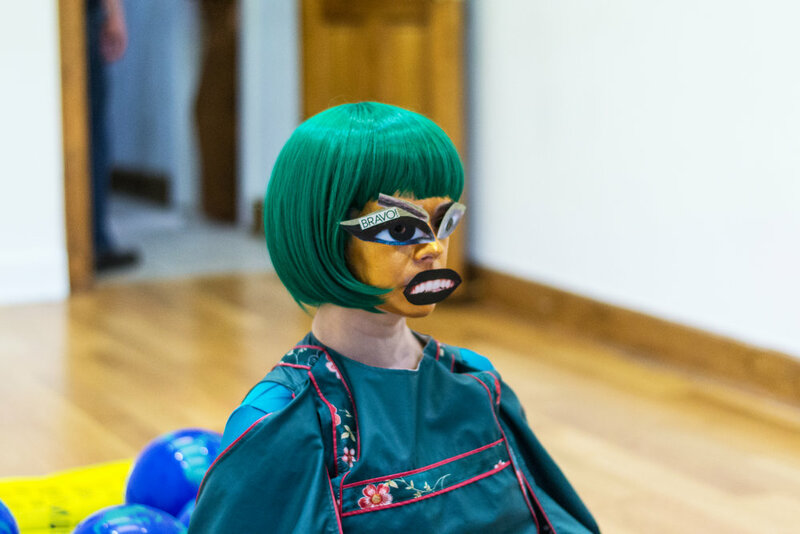 As Cuquita, the Cuban Doll, (Romagoza's alter-ego) she sits immobile in the open suitcase, the one with which she traveled from Havana to Miami in 2011. 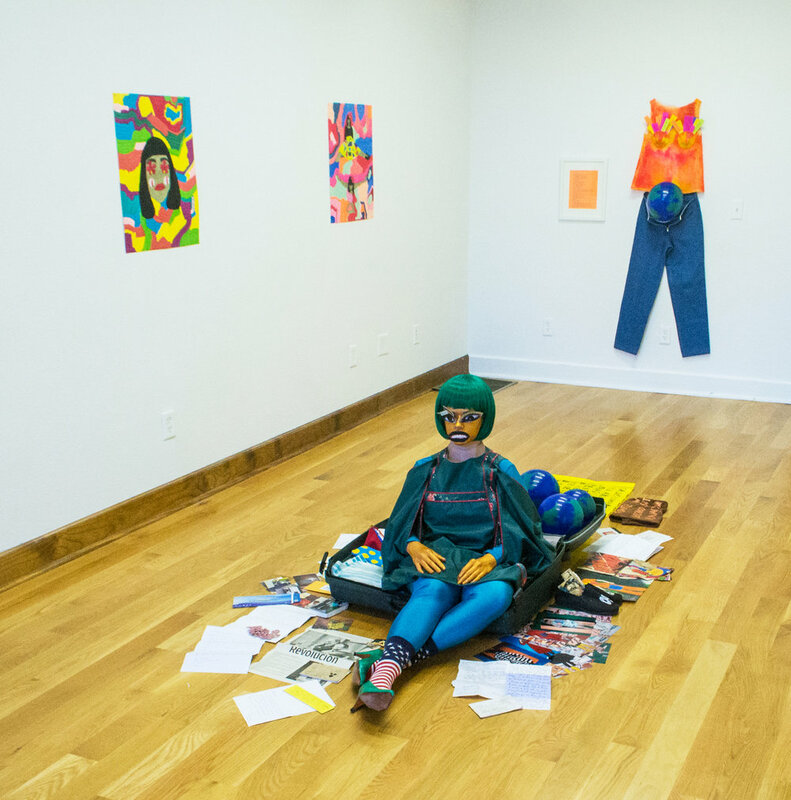 It displays all the personal belongings that accompanied her in her travel: family letters, her one-way Havana-Miami plane ticket, artworks from her lover, photographs, costumes from performances, a Granma newspaper with a statement of what the Cuban Revolution embodies. 90 miles reflects on Yali Romagoza's experience as a recent immigrant exploring universal displacement and trauma.